Country girl paranormal novella from author R.M. Gilmore (author of the Dylan Hart Odyssey of The Occult series). A new twist on an old classic. Havana, Arkansas isn’t exactly the picture of mystics and magic, but Lynnie Russell learns quickly you can’t judge a book by it’s cover. She discovers myths and legends are alive and well in her tiny little town and she is at the center of it. I chose to read this book because I’d read Endless Night and The Scene by R.M. Gilmore and I enjoy her style of writing and her sense of humor. I like to read books without reading the synopsis or any reviews beforehand so that I can read them with no preconceived expectations. Because of that, and because I’ve read books by this author before, Becoming took me by surprise. First, I was a reading a cute romance novella hoping for something more to happen and BAM! Something more definitely happened and it took a complete turn. You are right there with Lynnie as she struggles to deal with who or what she has become. I could imagine her heartache and confusion. There’s not much of the R.M. Gilmore humor in this book but it is still a good read. The only thing that bothered me was the distraction caused by grammar/typos but I believe she has taken care of that in subsequent novels by using Hot Tree Editing. 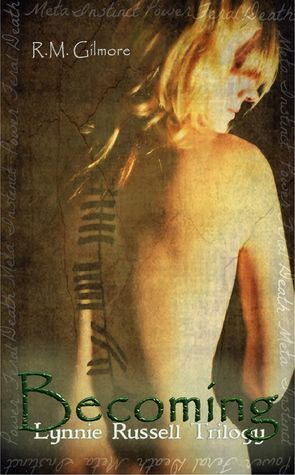 I recommend Becoming to anyone who likes Young Adult and/or paranormal novels. Available on Amazon or Barnes and Noble . R.M. 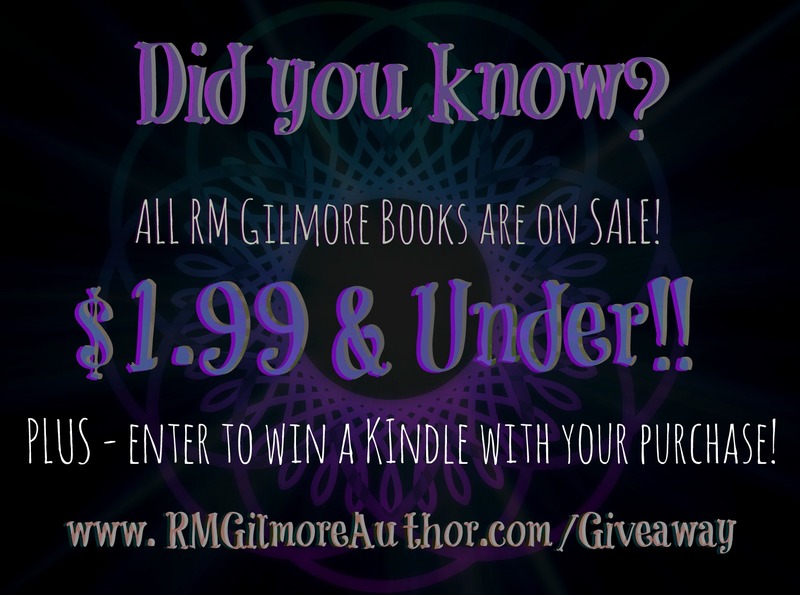 Gilmore is a paranormal and mystery/suspense writer and creator of the irreverent Dylan Hart Odyssey of the Occult series and the groundbreaking Lynnie Russell Trilogy. Both of which were voted top reads of 2012, as well as, bestselling in Irish Mythology, Female Sleuths and Occult genre. A member of Sisters in Crime and devoted Indie author supporter, R.M. uses her time when she is not writing to promote and assist her fellow authors. R.M. resides in California with her family and a ton of pets. Choosing to behave ‘outside the box’ R.M. prefers to think and live freely without the constraints of social stigma in life and in writing. That being said, she truly is not your mother’s author. Earn 10 entries to WIN a Kindle with each purchase!